When farms are connected to the Internet, we all benefit. Agriculture that gains real-time information about plants, soil, atmosphere, and irrigation, dubbed “precision agriculture”, can save farmers 20-30% of their water consumption while increasing productivity by 20-70%, according to Valley Vision. The San Francisco-Bay Area Internet Society Chapter is pleased to announce that we have started phase one of our collaborative project, “Bridging California’s Rural/Urban Digital Divide with Mobile Broadband“, which will collect data on mobile broadband performance in Yolo County, California in order to inform state officials and public policy to better advocate for the expansion of rural broadband access. 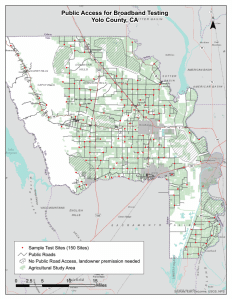 Working together with California State University (CSU) Geographical Information Center (GIC), Chico, and Valley Vision, we’ve introduced milestones, project team members, and phases for the project. Phase one focuses on maps, data research and collection. The project team is still approaching more farmers for their participation, but so far has identified about 150 sites to use for data collection. The red dots on the map identify the publicly accessible test locations in farm field areas. The cross-hatched areas are where we’re requesting access to privately owned land. Data collection will be completed by the end of March 2017. 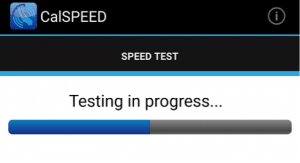 The research team is using a mobile app called CalSPEED, a professional-level, industry-standard testing tool, to measure the quality and speed of mobile data connection. This tool allows for flexibility, as it’s available for both iOS and Android devices, and accuracy. 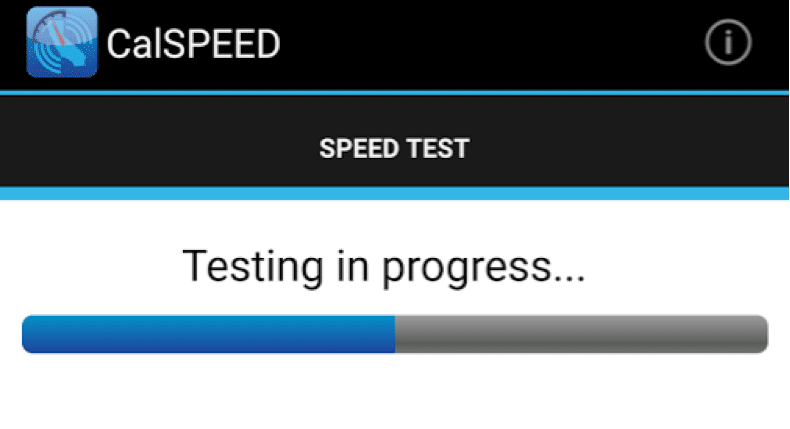 The test captures upload speed, download speed, message delay (latency), and message delay variation (jitter), and then provides an overall Mean Opinion Score (MOS) and video quality rating. With this two-phase test, we’ll be able to make statistical judgments about the quality of the mobile broadband connection. The results are uploaded to a public database maintained by California Public Utilities Commission (CPUC) to compare this broadband coverage with that in other parts of California. The kickoff meeting with the project team, from left to right: Robyn Krock (Valley Vision), Susan Strachan (CSU, Chico), Leah Symekher (SF-Bay Area ISOC Chapter), Eve Edelson (SF-Bay Area ISOC Chapter), Dr. Robert Tse (State Broadband Coordinator, USDA), Susannah Gray (SF-Bay Area ISOC Chapter), Tyler Boyle (CSU, Chico). Once phase one is completed, the team will move towards the case study part of the project, during the low season after planting and before harvest. With these data-driven narratives, we will be able to better advocate for the response of public policy officials. The team is also working on securing opportunities to present the results of this study at conferences, as an academic report, and with other advocacy organizations. Additionally, one of our partners on this project, Valley Vision, is conducting a pilot study to test the efficiency of different precision agriculture technologies. They are working with AgStart, a nonprofit agtech incubator, and Yolo County, CA, farmers to test cutting-edge technologies on three different types of crops. The synergy of this pilot study with our report will help further drive the efficiency and adoption of precision agriculture. 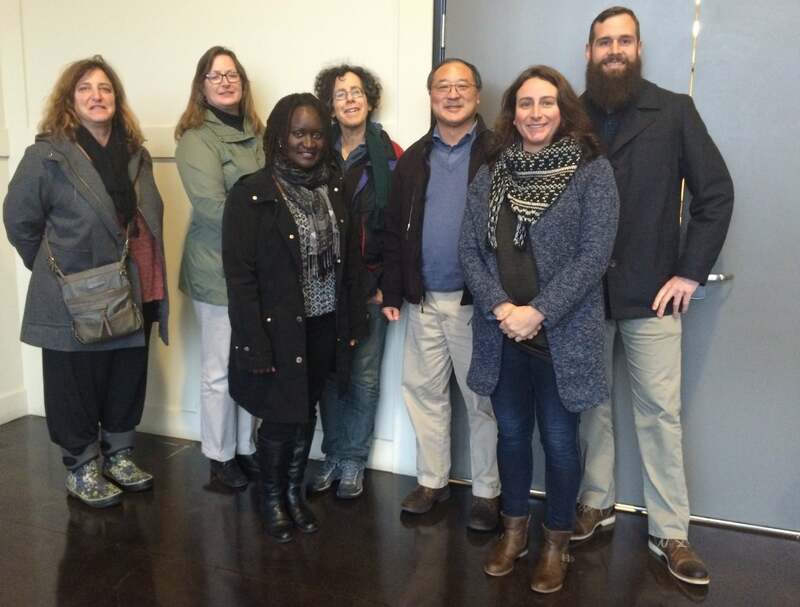 To learn why Yolo County was chosen as the site of this project, and why we are so interested in bridging the urban/rural digital divide with precision agriculture, take a look at this blog post written after we secured funding from ISOC’s Beyond the Net program. This blog post was written by Jenna Spagnolo on behalf of the San Francisco-Bay Area Internet Society chapter.